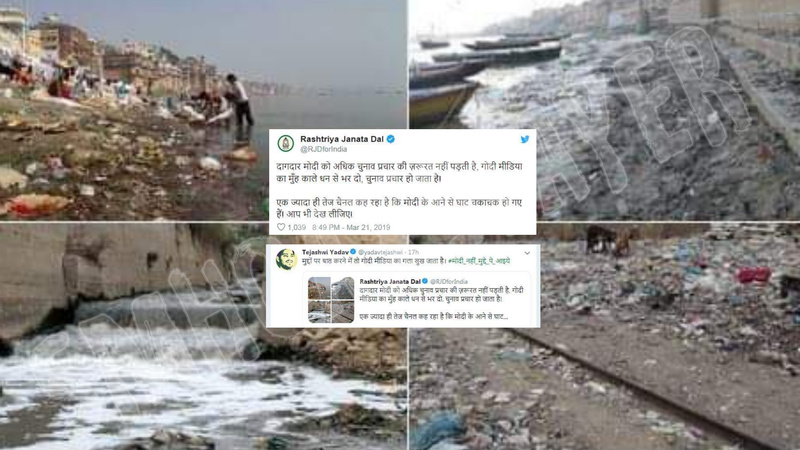 Rashtriya Janta Dal, founded by Lalu Prasad Yadav tweeted a set of 4 images claiming as dirty Ganga’s photos. Tejashwi Prasad Yadav, Ex-Deputy Chief Minister of Bihar, Son of Lalu prasad Yadav also quoated the same tweet and his tweet was retweeted approx 1500 times. The photos used in the tweet are not exactly related to the purpose of the tweet. This photo is not related to Ganga river, it’s not even from India. It’s from Karachi, Pakistan. ← Will Rs. 350 be deducted from your Bank account if you don’t vote ? Did they forget to remove the explosive belt from body of the suicide bomber ? June 19, 2018 Hoax Slayer Comments Off on Did they forget to remove the explosive belt from body of the suicide bomber ? July 3, 2018 Hoax Slayer Comments Off on Did Arab women driving cars fought on the road last month ?